You’ll fall head-over-heels for our upcoming Chamber Series concert Thursday, February 21, with the Escher Quartet, an American string quartet based in New York City, where they serve as Artists of the Chamber Music Society of Lincoln Center. 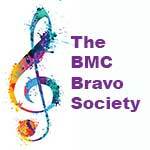 The concert is scheduled for 7:30 p.m. at the BMC. Tickets are $40 for preferred seating, $20 general admission. 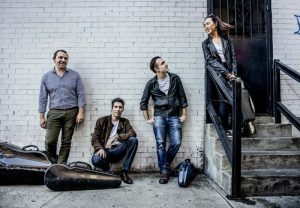 The Escher String Quartet — Adam Barnett-Hart and Danbi Um on violin, Pierre Lapointe on viola, and Brook Speltz on cello — has received acclaim for its expressive, nuanced performances that combine unusual textural clarity with a rich, blended sound. It takes its name from Dutch graphic artist M.C. Escher, inspired by Escher’s method of interplay between individual components working together to form a whole. The quartet — with guest artist Milena Pajaro van de Stadt on the viola — will play Haydn’s Quartet in C Major Op. 20, No. 2, Smetana’s Quartet No. 1 in E minor, From my Life and Dvorak’s Quintet in E-flat major, Op. 97.